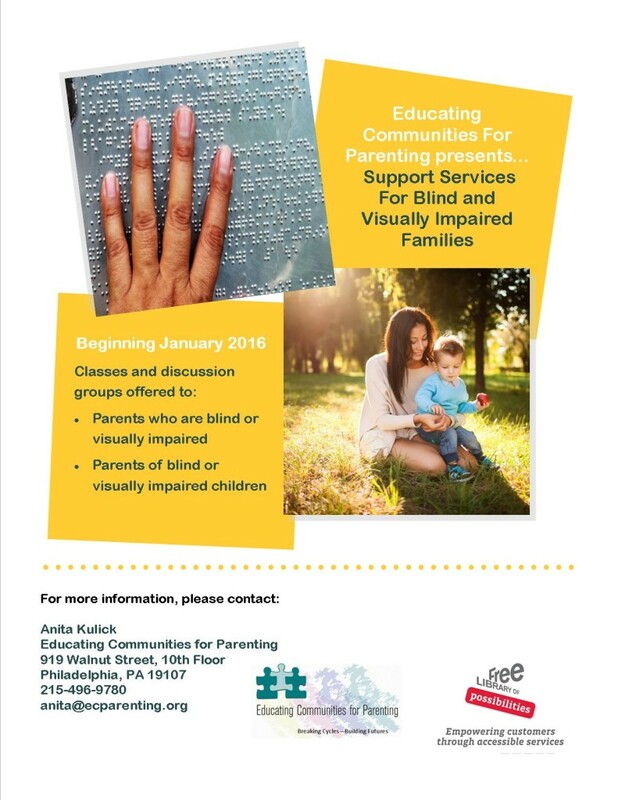 Beginning January 2016, Educating Communities for Parenting will begin offering classes for the blind and visually impaired. 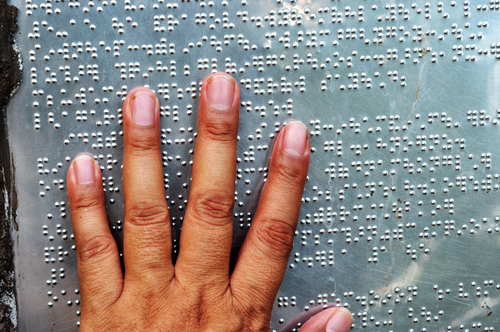 Classes will serve both parents/caregivers of visually impaired children, and those who are visually impaired themselves. Classes are free to all residents of Philadelphia and light refreshments will be provided. The classes, specially geared to focus on the unique challenges of these families, will offer support and resources emphasizing healthy and effective discipline, brain development, creating and sustaining stability and structure and other topics relevant to parents maintaining stable family relationships in today’s world. Interested individuals should contact Anita Kulick at anita@ecparenting.org or 215-496-9780.